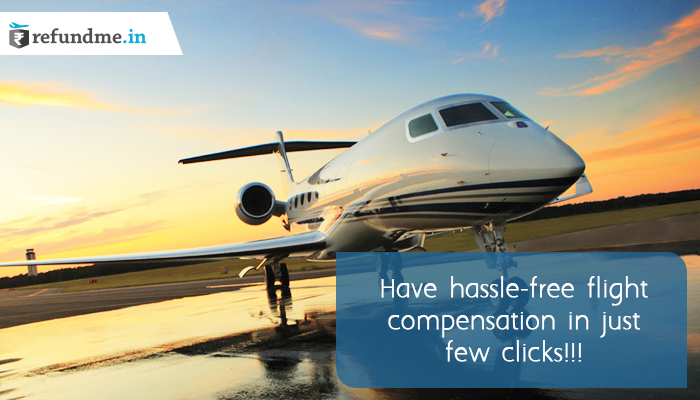 Have hassle-free flight compensation in just few clicks!!! Flight compensation for cancellation and denied boarding is unknown to many in India. The one who is aware of the flight compensation is too busy to invest time in claiming flight compensation but not anymore because an air passenger rights preserver refundme.in has taken the responsibility to educate people about their air passenger rights and provide them with an online platform to claim flight compensation for cancelled flights, delayed flights and denied boarding in India keeping in mind the guidelines given by DGCA (Directorate General of Civil Aviation). How does refundme.in makes it easy to claim for flight compensation? Lodge claim online: refundme.in has an online portal to lodge a complaint about the flight compensation. The portal generates a complaint number for the air passenger to further track the claim for flight compensation. Trouble free tracking: The team at refundme.in always keeps the air passenger updated with the claim status via emails and messages causing zero trouble. Accountable Negotiation: Keeping the rules and regulations in mind refundme.in negotiates, the best compensation deal for the customers with accountable contradictions with airlines. The air passenger is not disturbed for the same and the experts at refundme.in handle the negotiation on behalf of the compensation seeker. Uncomplicated settlement: The air passenger experiences an uncomplicated settlement with refundme.in. For a successful settlement of the claim, the company charges its share while the rest of the amount is credit in the customer’s wallet. The company also follows No win No fee policy where for unsuccessful settlement the company charges zero fees from the air passengers. Adjust no more at the airport rather educate yourself about the air passenger rights and claim your flight compensation with refundme.in the first ever flight compensation service provider in India. We get you the best compensation possible from the airlines by enforcing the air passenger roots. Make yourself aware of the air passenger rights. We will help you get the flight compensation without creating a hassle in your routine. Do you know about the GST on flight tickets?